Most movie industry experts do not expect the film version of the multiplayer video game "World of Warcraft" to be a big hit in the United States. But "Warcraft" is already breaking records in China. The movie opened there on June 8. It reportedly earned more than $45 million in its first day, the biggest opening day for the Chinese movie market this year. By comparison, the latest "Star Wars" film, "The Force Awakens," earned $33 million in China on its opening day. Film critics have not been kind to the "Warcraft" movie. One critic for the New York Daily News wrote, "Somebody should have put this script to the sword." But criticism has not hurt the film's performance in China, the world's fast-growing movie market. "Warcraft" earned the second-largest one-day profit ever in China, Forbes magazine reported. One reason is the popularity of the fantasy video game in China. Although World of Warcraft reported its lowest number of players in 10 years in 2015, one-third of the game's subscribers were in China, Forbes said. The country even has a World of Warcraft theme park. "Warcraft" was released by Universal Pictures and Legendary Pictures, which was recently bought by China's Dalian Wanda Group. The deal was announced in January. The Wall Street Journal reported then that it marked the largest deal by a Chinese company in American film production. 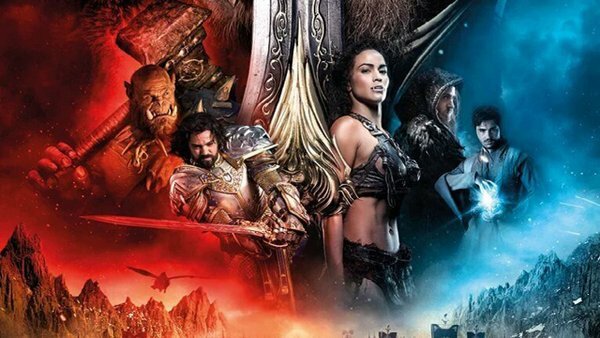 "Warcraft" was shown on almost 70 percent of all movie screens in the country. That is China's widest film release ever, according to Deadline.com. "Warcraft" opens in U.S. theaters on June 10. Observers expect it to earn about $25 million on its opening weekend. That is well below the film's single-day earnings in China. I will pick up our tickets this afternoon at the box office. Sales of corporate bonds and leveraged( high-risk) loans are breaking records. I really like to go to the theme park. Fishes are known to survive conditions well below freezing point. 1.That is China's widest film release ever, according to Deadline.com. He disguises oneself to run away into woman according to the guess. 2.By comparison, the latest "Star Wars" film, "The Force Awakens," earned $33 million in China on its opening day. A snail by comparison is supersonic. By comparison, trips by sea offer a great variety of civilized comforts. survivevt. 比 ... 活得长，幸免于难，艰难度过 vi.